While we have backgrounds in news, and design, and technology, and pool care – we also have a lot of experience working with medical practices and hospital-based units to market services. 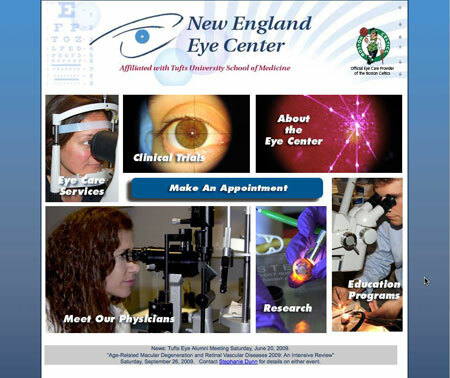 For New England Eye Center and other units at Tufts Medical Center, we have produced brochures, mailings, Web sites and much, more. Check it out!